I have submitted the following in advance of the “public participation” slot at the Cambridgeshire Police and Crime Panel meeting scheduled for 14.00 on Wednesday the 5th of February 2014. Decisions which the commissioner has reported to the media, but not the panel, which he claims have led to the improvement of non-emergency call handling performance. The decision to hold the commissioner’s key decision making committees, particularly his Business Coordination Board in secret and private; only publishing meeting papers well after the meetings take place. From my perspective there has been a significant reduction in transparency with the transition to a Police and Crime Commissioner. Our commissioner is not publishing details of proposed changes to policies before he makes decisions about them. Decisions relating to the staffing levels in the commissioner’s office (though I realise the panel has considered this at a high level in that the commissioner’s budget was submitted to the panel). 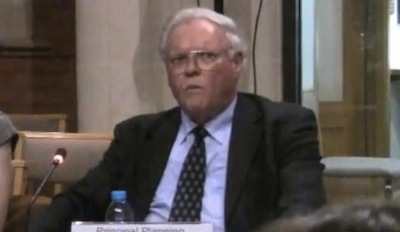 The panel have not challenged the commissioner on how he justifies the number of staff in his office, or his decision to delegate roles, including attending public meetings, to an outreach officer (I note as of December 2013 Warwickshire’s Police and Crime Commissioner had no staff in his office and was planning to recruit just three). Decisions on which transactions to include in the commissioner’s published spending data. Decisions on pro-active publication of information; including police performance statistics and Force Executive Board papers. Decisions on where the strategic / operational boundary lies, including in relation to the commissioner’s refusal to comment on the significant strategic change to the face of policing in the county when non-firearms officers began being armed with TASER weapons from May 2013. The decision to decline an invitation to attend Cambridgeshire County Council’s policing related scrutiny committee. I would suggest that the panel consider their response to that decision and would like to see them take up, for example, scrutiny of call answering performance which the committee dropped from their work programme following the commissioner’s decision to refuse to appear at the committee. The decision to delegate local priority setting to councillors at Cambridge’s area committees; having initially decided to set all such priorities himself. The wider issue of local police priority setting was another item removed from Cambridgeshire County Council’s scrutiny committee’s work programme following the commissioner’s refusal to appear and is something else perhaps the Police and Crime Panel could take on. Prior to stopping their consideration of the subject one member of the County Council Committee stated that far from being democratically set, in part of the force area Neighbourhood Watch groups are setting priorities and I have observed mob-rule (where anyone who turns up getting a vote) and the police themselves setting the priorities at local priority setting meetings. I would suggest the panel make clear to the commissioner which decisions they expect him to report to them; and I encourage the panel to review all public sources, including for example the commissioner’s statements and spending data, to detect decisions the panel may wish to consider for detailed scrutiny despite even if the commissioner has not pro-actively informed the panel about them. The diary appears to show the commissioner writing off two working days a week as “keep free”; the panel should determine if he is working a three day week and if he is able to fulfill the role in that time. I note the panel did consider the proposed working arrangements of the deputy commissioner so there is a precedent for this kind of inquiry. The commissioner has taken on a directorship of a Limited company, the Association of Police and Crime Commissioners . I think the panel should review his decision to take on this role, and how it is impacting his focus on Cambridgeshire as well as if and how he is using staff from the Office of the Police and Crime Commissioner to support his APCC role The released diary shows one working week when after two days off, and two days with the APCC, only one day was left for Cambridgeshire. The commissioner publishes an events calendar on his website; key events including appearances in public at council meetings have been omitted from this (and the released diary). I think the panel ought look at what the commissioner pro-actively publishes about his upcoming official engagements, as well as his historical diary. I would like to highlight two instances where commissioner has made statements to the panel which I would like to see the panel probe the accuracy of. This is substantively at odds with what Cambridge’s Community Safety Partnership has repeatedly been told; a much greater degree of data sharing via the website has been described to them; well beyond just revealing if an agency has been in contact with an individual or not. The commissioner also stated the system was entirely separate from ECops (claiming he had no responsibility for the latter), despite ALERT now taking on the name ECops and users being migrated from ECops to ALERT. I would suggest the panel ought look into the way the decision to award the contract for this system was made and at the different ways it is being used around the force area. I would like to see the panel challenging the commissioner when he makes statements which are at odds with what other bodies are saying or appear implausible. I note the commissioner’s spending in his first year in office, from November 2012 to November 2013 has been released following a Freedom of Information Act request I made. This shows the commissioner spent more running his office in that first year than the Police Authority cost in its last full year of operation. I don’t think the commissioner’ spending in this first year ought go uncommented on, and the panel should challenge the commissioner on this, in light of his pre-election promise that his office would cost less, not more, than the Police Authority. I would like to remind the panel of the commissioner’s clear pre-election promise “Not to put any additional burden on council tax”. I saw this raised at the February 2013 panel meeting which endorsed a council tax rise proposed by the commissioner. At that meeting Graham Bright admitted to the panel that he had promised “no extra burden” but argued he had not broken this pledge on the grounds the increase was “below inflation”. In my view the pledge was clear and suggested to me the policing element of council tax would not rise under Commissioner Bright. I note that the commissioner’s report to today’s meeting on his proposed further council tax increase, does not mention his pre-election pledge. It is far from the case that everyone’s income rises year on year with inflation and it is not the case that rises do not impose an additional burden. I think democracy is damaged when representatives do not fulfil their promises, and in this case I think this is compounded when the panel fail to robustly challenge the commissioner’s tax rises. I would like to know if efforts are being made to reduce the proportion of policing funding derived from the council tax, in favour of more progressive taxes. Does the panel share my concerns? Will the panel take any action in light of what I have said and the suggestions I have made? Section 7.3 of the rules of procedure which the panel have adopted require public participants to identify the panel member to whom questions are addressed. In order to comply with this I will nominate the chairman, or in his absence whoever is chairing the meeting, to address my questions to. I also supplied my full name and address as required by that same section. In this case I found the agenda and papers had been published online on the evening of the 28th of January enabling me to make a submission referring to the papers. The rules, unlike those for public speaking at those council meetings I’ve experienced only permit questions and not statements. I have included two questions as each question comes with an entitlement to have one minute to put a supplementary question. There is a fifteen minute slot for public submissions. I am writing to you in respect of the questions that you have submitted for the Public Participation Part of the Police and Crime Panel meeting on 5th February 2014. My sincere apologies for the delay in replying. Unfortunately your questions submitted were to Alex Daynes, who left the Council at the end of last year. His emails were being forwarded to another account for monitoring but an error occurred where this did not automatically happen so that some emails were left unread, yours being one of them. Again I apologise for this delay and please be reassured that your questions will be considered as having been received within the required timeframe. On reading through the questions submitted, however, I am not clear on what you are asking of the Chair and I must ask you if you would mind clarifying the following. 1. Does the panel share my concerns? 2. Will the panel take any action in light of what I have said and the suggestions I have made? Whilst you submit only two official questions, it is in relation to four topics. If both questions are applied to each topic, therefore, it is in effect eight questions. According to the rules of procedure (para. 7.5), “no person may submit more than two questions to a Panel meeting and no more than two such questions may be asked on behalf of one organisation” . I am therefore unable to submit these questions to the Chairman under the rules of procedure in this instance. If you wish to submit two questions to a Member of the Panel in relation to one topic at the next meeting on 19 March please can you resubmit them directly to me. Thank you. It is astonishing that a council officer has taken it upon herself to reject questions which I have put to the panel; and even more astonishing that she is refusing to even put my submission to the panel chairman. There are clear safeguards in the Panel’s rules of procedure to ensure that questions rejected for reasons permissible under the terms of reference paragraph 7.6 (a-d) are still put to the chairman and the reasons for refusal are recorded in the minutes. The rules of procedure have, quite reasonably, not dealt with the possibility of a rogue officer taking it upon herself to reject questions for reasons other than those set out in the terms of reference. Copies of all questions will be circulated to all Members and will be made available to the public attending the meeting. I would have expected that to have occurred even if the questions were to be rejected on a technicality. Peterborough City Council is the host Authority for the Cambridgeshire Panel. Please send any queries for the Panel to Alexander.daynes@peterborough.gov.uk in the first instance. As the primary published email address for the panel that would presumably be getting all requests from the public to ask questions, all correspondence from central government, select committees, MPs and the like to the panel and more. It is astonishing it has been not functioning for at least a month. Paragraph 7.4 of Cambridgeshire Police and Crime Panel’s Rules of Procedure allow urgent questions to be accepted by the chairman up to 10am on the day of the meeting. I now need to consider what I could submit as an urgent question to draw the panel’s attention to the way public submissions are being dismissed by officers. Does the chairman, or in his absence whoever is chairing the meeting, agree with the decision of Paulina Ford of Peterborough City Council to unilaterally reject the questions (enclosed) which I submitted to this meeting of Cambridgeshire Police and Crime Panel, refusing even to submit them to the chair for consideration? Will the panel consider the points raised in my submission? I feel very uncomfortable submitting questions to an email address which is not the address made publicly available for using to contact the panel. I could then use the follow up to suggest the panel ensure they are informed of all rejected submissions and the reasons for the rejection. I’ve checked the rules of procedure and there is no reference to two questions having to be submitted on the same topic. Officers dismissing public questioners is something I have seen a number of times at local government meetings with public question slots. In relation to the Police and Crime Panel I have previously experienced public questions not being taken on the grounds the meeting was the annual general meeting of the panel, despite the fact the rules of procedure make no reference to there being no public question slot at that meeting. I have heard directly from another member of the public who has had a question submitted to the Cambridgeshire Police and Crime Panel meeting on the 5th of February rejected. Richard, For what it is worth copied below are the questions I tried to ask, and the response received. I would accept that I did not read the procedural rules before submitting my questions, and probably could have worded the questions more artfully. Nonetheless the substantive point I wanted to raise is that Sir Graham has been successfully rebutting any questions relating to the police using its resources to spy on legitimate political activity as an operational issue. Nonetheless in other areas of police activity, which could equally be described as operational such as targeting cyclists, or the use of elctronic equipment this is an element of the police plan or a priority setting. The definition of “operational issue” is unclear and requires clarity if it is not to be a fig leaf behind which the Sir Graham can hide. At the end of the rebuttal is the suggestion that I refer the questions to the PCC. This neatly ignores the fact that why I tried to ask these questions in a public forum is because he sidesteps the issues when asked in private mails. Sir Graham refers always to the oversiight of of the Office of Surveillance Commsioners on this issue, you can see the last inspection report here https://www.whatdotheyknow.com/request/186430/response/463448/attach/5/FOI%200775.2013.pdf The report is redacted, but in the non-redacted sections makes no reference to surveillance of political activists. Oversight meant interviews and looking at paper work in a period of 3 days! Sir Graham wants us to believe that he is the representative of the people not the police, but when it comes to the police spying on political activists for no clear purpose it is difficult to believe him. I wish to submit a public question for the Police and Crime commissioner to be asked at the panel meeting on the 5th February 2014. As that is a rejection under paragraph 7.6 of the rules of procedure it will be noted at the meeting and the reason for the rejection recorded in the minutes. As my questions have been rejected for reasons outside of the rules of procedure the rejection will not need to be notified or recorded. My 6th bullet point suggests the panel look into the Commissioner’s decisions on where he considers the operational / strategic boundary lies. I note the only public question yet considered by the panel was not directed to a specific panel member, and was passed to the commissioner for a response. That question, submitted by Councillor Hiller from Peterborough City Council, and can be seen in the minutes of the 6 November 2013 meeting of the panel. Cllr Hiller’s question was permitted despite it containing three question marks (ie. asking three questions); and there was also some background to the question. The rejection of Mr Lythgoe’s question was not reported to the Police and Crime Panel on the 5th of February 2014. Paragraph 7.6 of the rules of procedure was not followed in this respect. During the panel’s meeting on the 19th of March 2014 acting chairman Cllr Ablewhite directly asked the secretariat if they had rejected any questions which had been submitted to the panel and they denied doing so. I find it implausible that Mr Lythgoe has fabricated the exchange above and therefore believe the secretariat has lied to the panel. How difficult is it to get to ask a question? Why have a public meeting, with a public slot for questions, then do your utmost to not allow questions? It’s almost as if they don’t want public input, or scrutiny….. This is typical of local government. We need to elect better councillors who are prepared to reign rein in rogue officers. Is, far from seeking eight separate replies, providing the opportunity for the chairman to simply and briefly respond to my submission. Thank you for your submission. We share your concerns about the freedom the commissioner has to pick and choose which decisions he reports for scrutiny and intend to be more proactive about selecting additional topics for scrutiny ourselves; we will include the two areas you raise of non-emergency call answering and local priority setting on our future work plan. We will ask the commissioner to respond to the concerns raised about the accuracy of his statements and if on reflection he wishes to correct or clarify the record we will allow him to do that at the next meeting. We will consider the other items you have raised as and when we reach them. I think the scale of the submission and the response is entirely appropriate for a 15 minute public question slot; and could be dispatched within half that time if necessary. I am not really seeking to ask questions; what I want to do is make a statement to the panel, to prompt them to step up and improve their scrutiny of the Police and Crime Commissioner and to ask for their help in holding the commissioner to account. By insisting on questions (rather than also allowing statements) the panel have added a hurdle which make it harder to lobby the panel than it otherwise would be.
.@RTaylorUK @PeterboroughCC I think I would be frustrated with that rejection. I think someone is missing the point. Further to your email below I have now received a response from Cllr Ablewhite who will be chairing the meeting tomorrow. He has advised that if you would like to clarify which two questions you would like to ask under the Rules Of Procedure then he will allow these at the meeting tomorrow and you can submit another two at another meeting. If you would like to choose two from your original questions and let me know then I can forward them to the Panel Members. If Cllr Ablewhite has overturned your rejection of my original submission dated Tuesday, the 28th January, then I would like that original submission circulated. My view is that submission contains two questions as permitted by the panel’s rules of procedure and I would like to ask those questions. If that original submission remains rejected I would like to ask the questions I submitted as urgent questions Monday the 3rd of February and would like the original submission circulated as directly relevant background information. I forwarded your last email onto Cllr Ablewhite and he has responded that he will allow you to ask your original questions. I will therefore send round to all Panel Members again your original questions and background information for tomorrow’s meeting. As a former local government officer I feel compelled to step in! My reading of the rules of procedure is that the officer is acting within those boundaries. The provision relating to multiple questions is contained in section 7.5 – the provision relating to rejections where the Chairman takes the final decision refers only to circumstances in section 7.6. Whatever you might think of the rules of procedure substantively, the process has at least been followed here. The reason, presumably, is that the issue is an absolute one – “no more than two questions per person” and hence the officer is – in theory – afforded no discretion on the issue. The difficulty of course lies in the interpretation of the word “question” – does it apply to just your two final questions, with the text beforehand seen as a preamble, or does the preceding text itself form part of the question? In the first instance the officer has decided the latter – which is a decision which can be justified on the facts – but of course further to your challenge, has referred it to the Chairman who has taken a different view. Why the panel restricts the use of its public participation slot to asking questions, and doesn’t permit the public to use the public participation agenda item to make statements or suggest items for scrutiny? Cambridge City Council’s public speaking slots all permit either questions or statements. Cambridgeshire County Council has a system for members of the public to suggest items for scrutiny so there are examples of this happening in the area. I could direct the question at Councillor Curtis as he interrupted my contribution to the meeting on the 5th of February 2014 asking for it to be ruled out of order on the grounds it wasn’t a question. A debate appeared to result; which was inconclusive, although at the end of it I was neither allowed to continue nor ask a supplementary question. The Centre for Public Scrutiny has rather timely just published a report on the role of Police and Crime Panels. The report I would think would be useful reading for the Commissioner and the PCC. The report http://www.cfps.org.uk/domains/cfps.org.uk/local/media/downloads/Police_Report_CfPS_web.pdf has a section on public participation and given your interest webcasting. “How can Panels go about engaging with, and representing, the public voice? might provide a more targeted approach. I wonder how our local panel measures up! I note that Sir Graham was unable to attend the North Area Committee meeting tonightas he had to get up early to visit Staffordshire on police business. It prompted me to look at how the Staffordshire Police and Crime Panel conduct their affairs – below is the agenda item for the Public Particiapation in their recent panel meeting. Members of the Public living or working within the constituent authorities have the opportunity to put questions to the PCC. It is of note that the agenda states that the questions are for the PCC, not the panel, one of the reasons my questions were not allowed is that in Cambs PCP the public have to ask questions of the panel not the PCC. Why is this the case? It is also of note that although the minutes aren’t yet published a webcast of the entire meeting has been published already. In Cambridgeshire our politicians appear to prefer to work away from the glare of the public eye. Maybe whilst Sir Graham is visiting Staffordshire he will investigate how their panel works and bring back some best practice. Responses varied, but I’m hopeful that now the situation of the panel relying on the commissioner to select items for consideration for scrutiny has been expressly pointed out in person, in public, to the panel the current arrangement will not continue. The draft minutes, and actions, from the meeting to which I made the above submission have been published. The response was provided on 10/3/14 and forwarded to the Panel. I have not received a copy of the response, and it has not been published by the panel with the papers to their 19 March 2014 meeting. The fact the commissioner’s response has not been published, or provided to me, means I can’t submit a public question to the next panel meeting following up any element of the response (without using the urgent question procedure which requires the chair to expressly permit the question). The questions were not focused and had therefore clouded the issues raised and should have been brought to the Panel in stages. There were some good and interesting points within the submission which had been highlighted to the Panel and the Panel may wish to consider scrutinising some areas in more depth at future meetings. An example of which was non-emergency call handling performance. It was noted that the Commissioner published all statutory decisions and that the Panel should consider looking at the impact of these decisions and scrutinising any areas of concern. The fact that the Commissioner was spending some of his time with the Association of Police and Crime Commissioners was considered by the Panel to be very relevant to his role. The Panel would conduct more focussed scrutiny on decisions which affected the public. The Panel would need to consider how it would pick up emerging issues for more focused scrutiny going forward. With regard to the comments on the Commissioners first year of spending it was noted that the Panel received budgetary updates. The Chair thanked Mr Taylor for submitting his questions and attending the meeting. I’ve submitted a FOI request for the commissioner’s response as the March 2014 meeting of the panel did not even mention it , never mind consider it or order its publication. one of the things which came up from the last meeting was our role within the scrutiny process and what are we scrutinising, how are we scrutinising, and it does beg the question and I’ve checked with what we’re actually doing and what we’re doing is covering the legality of what we should be doing as a panel and its actually that scrutiny that’s missing and what we need to do therefore is formalise a proper scrutiny plan for our panel for the forthcoming year and there needs to be an emphasis I think on performance against objectives and things like that; a bit like we do you know before our local councils where we scrutinise and we go out and scrutinise our outside partners also so what I’m going to suggest from this question is that between this meeting and the next that a meeting is set up between the chair, the vice-chairman, and anybody else that would like to get involved around the panel to formalise a scrutiny plan for the forthcoming year. Would that be positive way forward do you think? I thought you might agree. And that we include someone from the Centre of Public Scrutiny in that as well to help us with that process which I think will be helpful. I think it is disappointing that the discussions are to take place apparently in private between formal meetings of the panel, but I look forward to seeing the outcomes of those discussions presented to the next panel meeting. @RTaylorUK Why would I know? BTW: I do know there will at last be some focused scrutiny sessions recommended at next meeting. I have asked 2 questions to the panel that I hope will be addressed in my absence at the panel meeting on June 19th. “First, Is the Chairman aware that I submitted to the Panel questions as listed below (copied in my email) that were not permitted to be put before the panel, and that it was stated in the March meeting that no such questions had been posed or refused following a question to this affect from Councillor Ablewhite? The Police Reform and Social Responsibility Act (PRSRA) 2011 under paragraph 6 of Schedule 1 requires every PCC outside London to appoint a CFO. Anidentical duty under paragraph 4 of Schedule 2 and paragraph 1 of Schedule 4 to the Police Reformand Social Responsibility Act 2011 the Chief Constable is also required to appoint a CFO. The Police and Social Responsibility Act 2011 requires both CFOs to comply withrelevant provisions within the Local Government Acts. I do question how the public are expected to have any active participation in these meetings when neither the minutes of the last meeting or agenda for the current meeting are published until the deadline for submitting questions to the panel has almost passed. Richard Taylor: My own questions were initially rejected by the officers acting alone last time, and I’m aware of other people who claim to have submitted questions to this panel which have been rejected but they haven’t been reported as the rules of procedure say they should have been. For more see my article, full transcript, and video, of the March 2014 meeting. Paul Lythgoe has shown me an apology he has received from Police and Crime Panel Chairman Cllr McGuire accepting that questions were submitted but not reported to the panel. I have not received any apology from either Cllr McGuire or Cllr Ablewhite for the inaccurate denial in response to my question on the subject and the debacle has not been reported to a public meeting of the panel.